MILAN (AP) — Italy’s interior minister said Wednesday that he won’t offer safe harbor to 64 migrants rescued off Libya by the German humanitarian group Sea-Watch. Sea-Watch tweeted that the people brought to safety from a rubber dinghy included 10 women, five children and a newborn baby. The group said it carried out the rescue off the coast of Zuwarah west of the capital Tripoli after Libyan authorities couldn’t be reached. Sea-Watch is asking Italy or Malta to open a port to the rescue ship, the Alan Kurdi. Italy’s hard-line interior minister, Matteo Salvini, said this ship, like others before it, won’t be welcome in Italy. 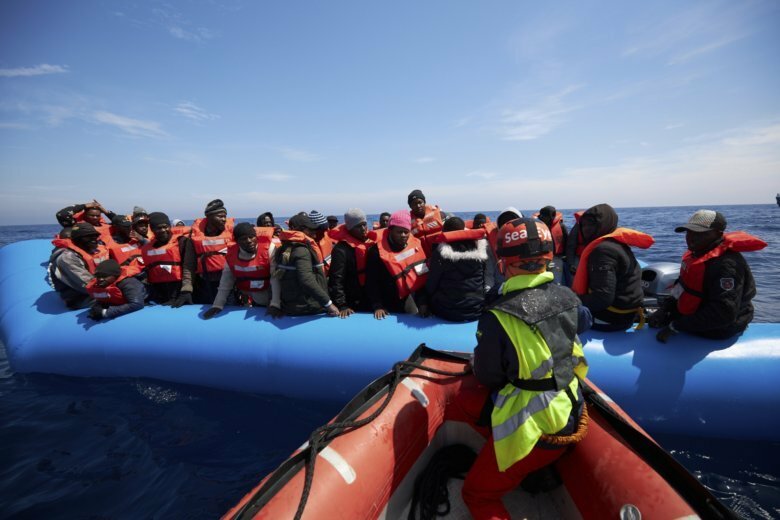 Both Italy and Malta have refused to accept ships that humanitarian groups have patrolling the Mediterranean, leading to numerous delays in getting rescued migrants to land while European countries haggle over which will take them in. Sea-Eye says 50 migrants it had been searching for since Monday remained missing.